In May 2014, I travelled to Mexico to document the ancient Maya Culture for my book Street Messages. 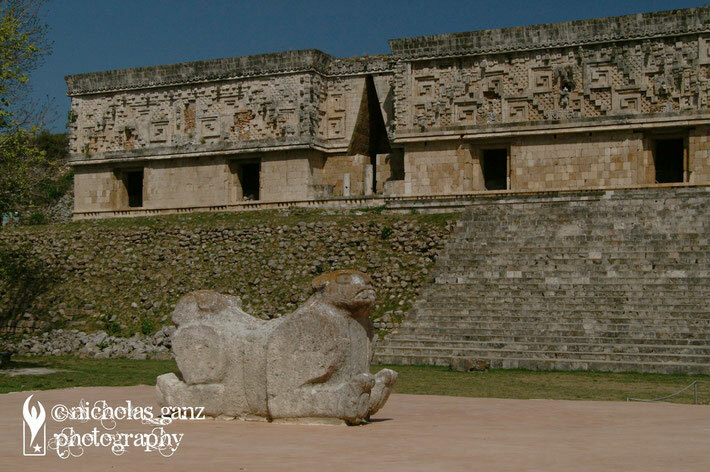 My aim was to photograph the Maya glyphs on public buildings, altars, stelas or doors. 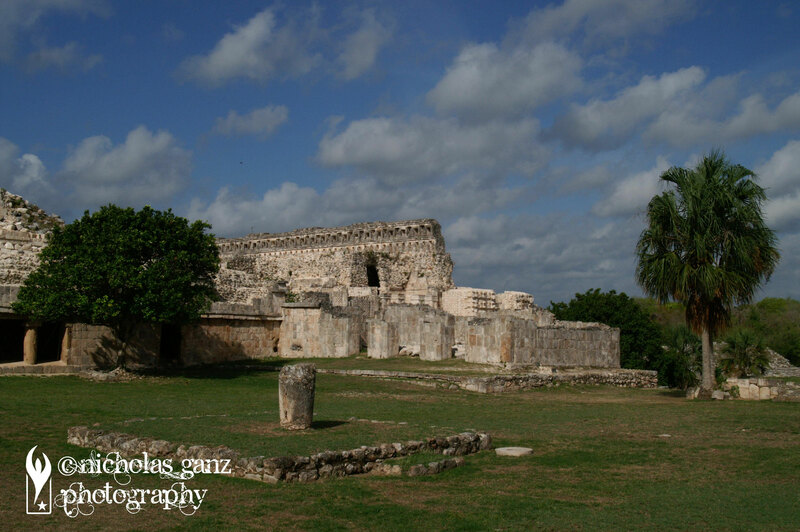 I visited a couple of architectonical sites and what I finally used in the book, please go and check out Street Messages. 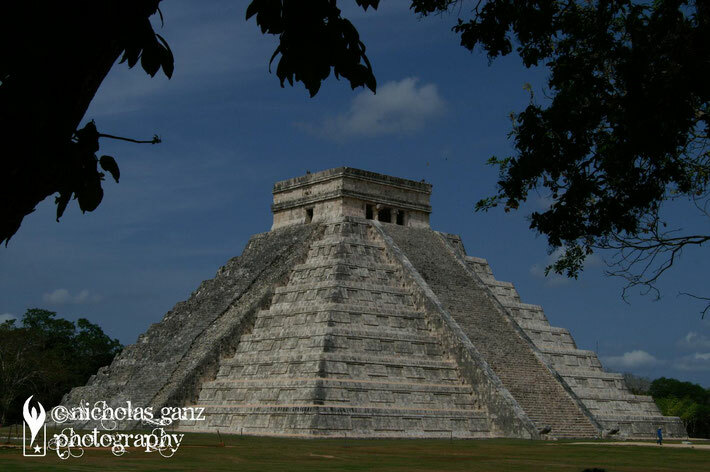 The gigantic Pyramid of Kukulcán in the centre of Chichén Itzá. 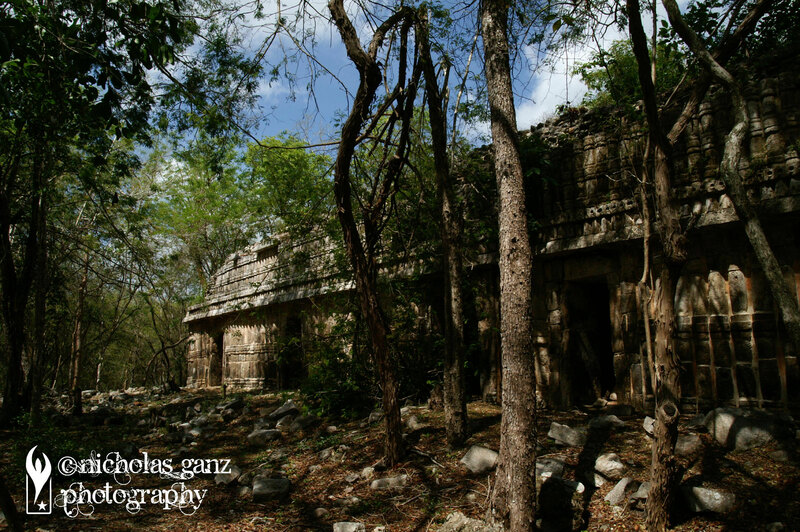 There are still some Maya ruins hidden in the jungles of Mexico. 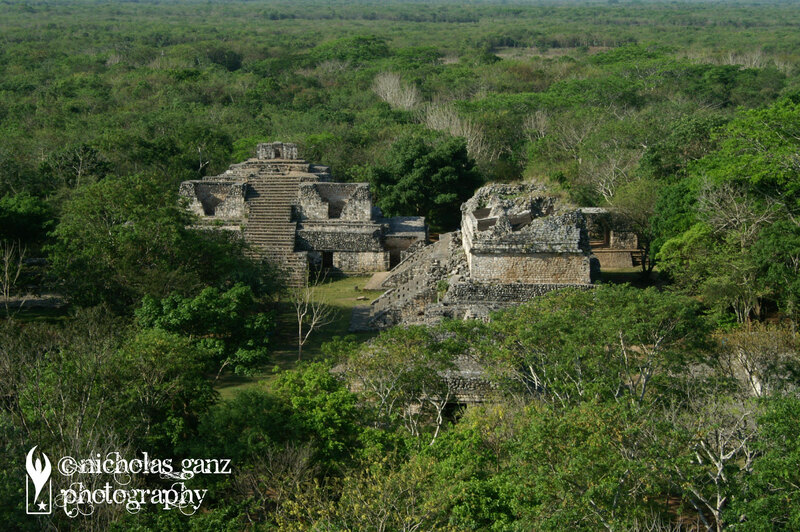 This is a view on the ruins of Ek Balam. 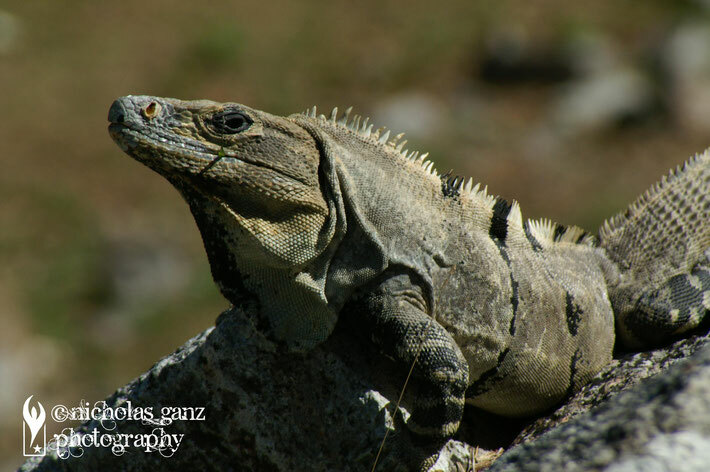 The most common animal you could see at the historical sites were lizards. 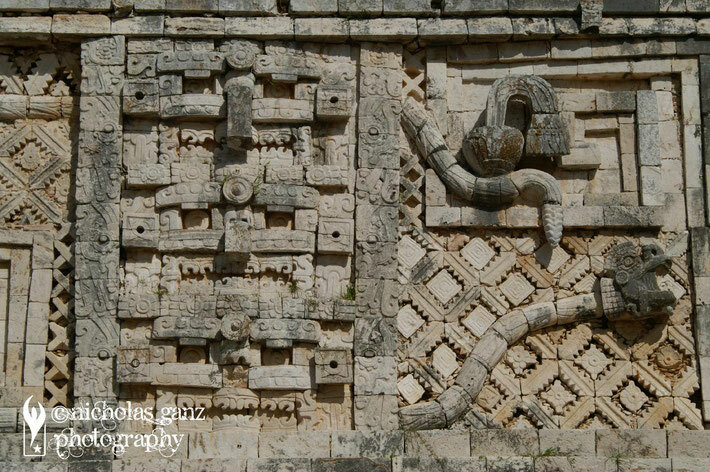 One of the snakes on the relief at the Western building in the Nunnery Quadrangle in Uxmal. The two-headed jaguar, that was used by the Governor with his palace in the background. The Southern Palace in Sayil is getting conquered by nature again. 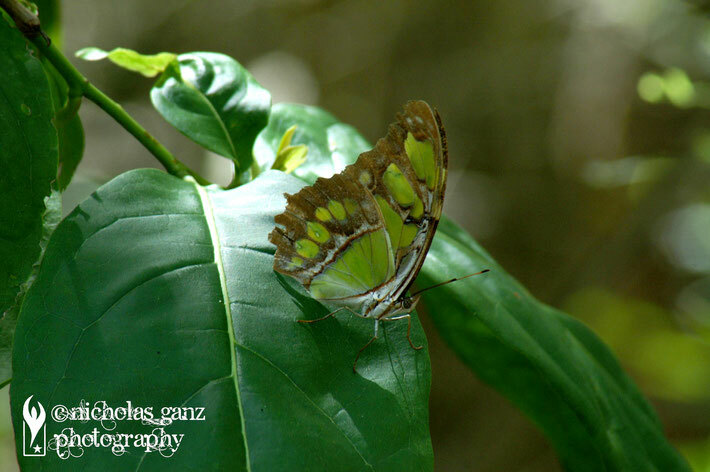 The second most common animals were butterflies. 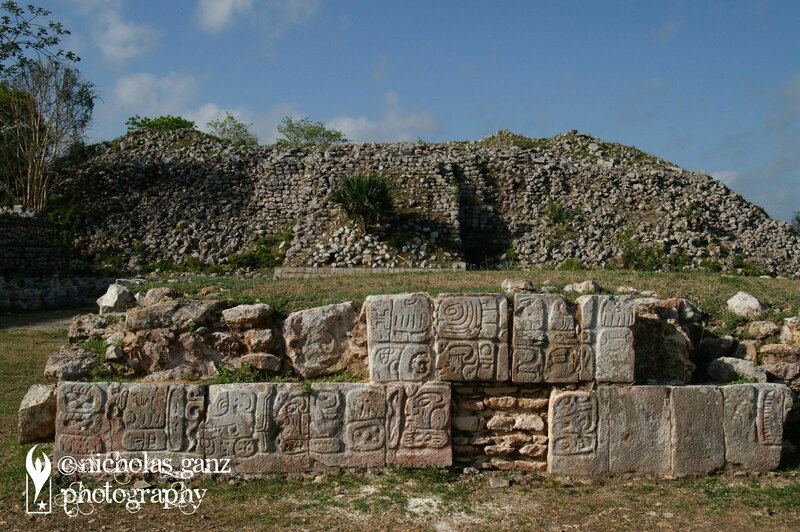 In the ruins of the old city of Kabah I finally found large Maya glyphs on a former altar. The so-called House Number Two in Kabah. 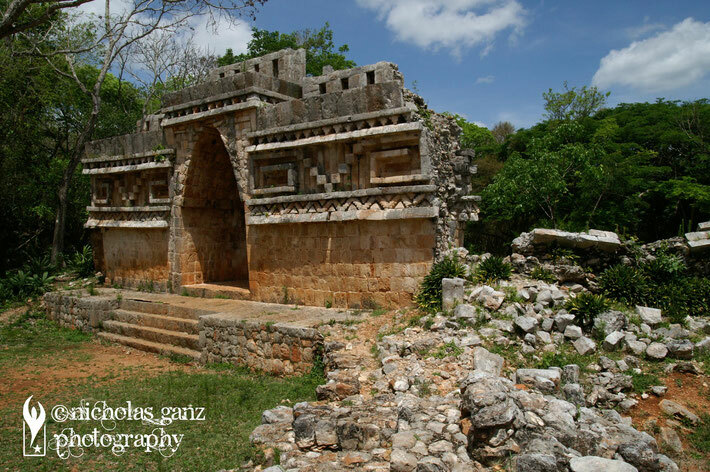 The Gateway Arch in Labna. 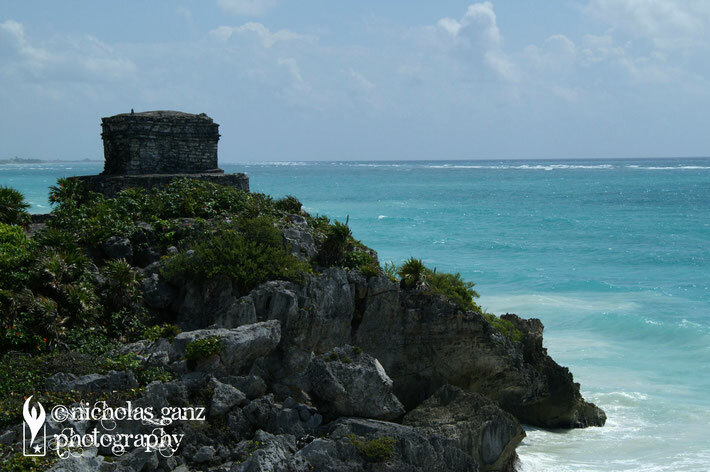 The Temple of the Windgod nearby the ocean in Tulum.